James Connelly is a Fulbright China Research Scholar sponsored by the US Department of State based at Tsinghua University in Beijing and a LEED accredited professional. He blogs about his research at ChinaBuildsGreen.com. Read this article at chinadialogue. Among its many environmental challenges, China faces an enormous increase in energy consumption by buildings over the coming decades. Bricks and mortar already account for 25% of China’s total primary energy consumption, but are currently consuming energy at a very low level compared to developed countries. In fact, Chinese urban buildings consume three times less energy per unit of floor area, and ten times less energy per person than those in the United States. By examining the historical trajectory of building energy consumption in developed countries like the United States and Japan, we can find clues to what lies ahead for China. As per capita GDP rises, building energy usage intensity (EUI)—a measurement of the amount of energy used per unit of floor area—also increases. China’s EUI is currently the same as Japan’s was in the 1960s and America’s in the 1950s. Since then, advances in heating and cooling technology have transformed how buildings are designed and operated. Along with the changes in lifestyles and consumption habits that have come with rising incomes, this transformation has led both the United States and Japan to double their building EUI. Unless this shift in design mode can be slowed or prevented, China can be expected to see a similar surge. Most Western architects and engineers are surprised that China’s buildings consume such a small amount of energy. In general, Chinese buildings have less insulation, leakier skin and windows, and less advanced and efficient heating and cooling technology than their counterparts in developed countries. But they still manage to consume much less energy. Why? The explanation for this paradox lies in two interrelated factors: lifestyle and system design. Understanding how the combination of these factors drives increased energy consumption is critical to preventing a future boom in the amount of energy used by Chinese buildings. In China, energy-consuming appliances—most importantly clothing dryers—are less widely used and Chinese occupants are more willing to accept larger ranges of temperature in their indoor environment. Utility bills also make up a greater proportion of disposable income, which encourages people to save money by saving energy. But differences of habit and income don’t alone explain the large gap between the energy usage of Chinese and Western buildings. The culture of low energy consumption is also influenced by design of heating and cooling systems, as well as architectural form. Professor Jiang Yi at Tsinghua University describes China’s standard heating and cooling system as “part-time part-space,” while the US most commonly uses a “full-time full-space” method. Advances in Heating Ventilation and Air Conditioning (HVAC) system technology in developed countries have made possible the rise of fully enclosed glass structures, in which one very large system provides all the services for the building in nearly continuous operation. A standard Chinese building, on the other hand, uses operable windows and decentralized systems, where each room has its own air-conditioning unit or heater. In “part-time part-space” operation, building occupants actively control the temperature in individual rooms, while in “full-time full-space” operation, the system generally has automatic controls based on a set schedule. As GDP rises, the preference for centralized systems over decentralized systems has played a major role in the increase of building energy consumption. A study by the building science department at Tsinghua University in Beijing found that residential apartments with centralized HVAC systems consume up to ten times more energy than those with decentralized systems. While counterintuitive, the explanation is simple: decentralized systems allow users to individually control the system to maximize efficiency, while centralized systems provide continuous heating and cooling, regardless of what the residents actually require. Although centralized systems may be more efficient at converting energy into heating or cooling, the continuous operation and energy wasted by heating every room for the entire day far outweigh the efficiency gains. In fact, it is impossible to individually control temperature in order to save energy in many sealed office buildings that use a “full-time full-space” system. System design influences an occupant’s lifestyle and energy consumption, and it is system design that is the main cause of American buildings’ high energy consumption. The transition to developed-world design standards is already under way in China. Energy data from a sampling of buildings in different Chinese cities shows that the energy use distribution is developing a two-peaked arrangement—a large number of buildings clustering around a consumption rate of 30 to 50 kilowatt hours per metre squared per annum (or Kwh/m2×a) and another smaller group cluster around the 120 to 150 Kwh/m2×a rate. The first of these groups comprises standard Chinese projects consuming energy at China’s average rate, while the second are the buildings designed according to developed-country standards. 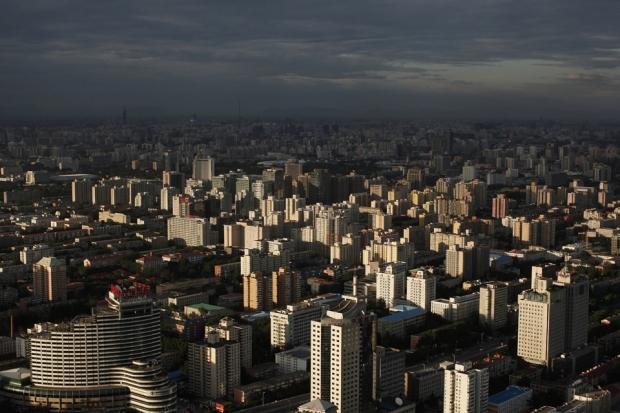 This phenomenon is not only clear in charts, but is also noticeable in any Chinese city skyline: huge numbers of developing-country housing blocks are clustered around a core of modern buildings that would make any foreigner feel they were in a new and flashier version of New York, with correspondingly flashy levels of energy consumption. What, then, can be done to stall this transition in China to an age of more energy-intensive buildings? One established tool for encouraging a more environmentally friendly built environment is the suite of green building rating systems. By providing an objective certification of a building’s environmental performance, such systems can help transform the building marketplace so that developers, governments, and designers have an economic incentive to pursue environmental objectives. The rapid growth of the two most popular rating systems in China, Leadership in Energy and Environmental Design (LEED), created by the United States Green Building Council, and 3-Star, a Chinese system designed by the Ministry of Housing Rural and Urban Development, is an encouraging development. There are some question marks, however, as to how effective these rating systems are at reducing building energy consumption in China’s current state of development. A big problem with LEED is that, on average, Chinese projects are already much more efficient than the American standard. LEED has been shown to decrease energy consumption by 24 percent over the commercial baseline in the United States, but even the best LEED projects are barely more efficient than the average Chinese building. Is 3-Star better? Anecdotal evidence suggests that the energy performance of some of the best 3-Star building is very impressive—around 79 Kwh/m2×a, much lower than the LEED performance average of 218 Kwh/m2×a. However, according to green building experts with experience on these projects, there are still problems maintaining comfortable indoor temperatures and humidity levels. Even though 3-Star projects are performing well in terms of energy consumption, if the indoor environment is suffering, they cannot necessarily be considered efficient. On the other hand, one of the main drivers of increased energy consumption in developed countries is round-the-clock operation of building systems in order to provide a consistent indoor temperature. It may simply be the case that some sacrifices in indoor environment, and adjustments in occupant behavior and requirements, are necessary to build a truly efficient building. For the moment, the best answer for China seems to be complementary use of both LEED and 3-Star. It is inevitable that China will continue to build US-style sealed office towers in the near future, even though they are less efficient than buildings with decentralized systems and should be discouraged. And in these types of projects, which employ fully centralized HVAC systems, LEED has proved effective at reducing energy consumption. 3-Star is more likely to be applied to projects that are heated in a decentralized manner, and the low energy consumption number demonstrates that it is a successful system for these types of projects. In short, both rating systems are effective in their respective market in China: LEED for high-class office and residential projects that are already designed to Western norms and 3-Star for more standard decentralized projects. More research into the actual performance of buildings from both rating systems is necessary in order to accurately assess the potential environmental impact of the different approaches and efficiency measures taken. Only by clearly understanding how much energy each certified project is consuming can we ensure these rating systems are effective tools to slow the growth of China’s building energy consumption. And let’s hope we can, because if China and the rest of the world’s developing countries follow in the architectural footsteps of the United States, then the global climate is in a lot of trouble.